"Perhaps she is the wife of your heart, though your recent behaviour gives me cause to doubt it, and your heart will not feed or house her. It seems you would rather she be miserable with you than happy with someone else. I had thought better of you, Abersham." Sally hugged his arm. "I will never be happy with anyone but David." "I will make her happy! I will spend my life making her happy," David promised. Aunt Cherry met her defiant daughter&apos;s eyes, then examined Toad with precisely the expression she had used when he was ten and attempting to explain why he and Sally had flooded her sunken garden. "Less than one week ago, you were engaged in amorous congress with two chambermaids in your don&apos;s study, Lord Abersham, so I find it difficult to believe you have suddenly developed the means to be a faithful husband." Toad was gratified Sal didn&apos;t react, nor pull away from him. She must have overheard the details when the parents were talking. He grasped her hand tighter. "Besides which, you even now reek of your father&apos;s brandy and yet rely on him for your entire income, so you will forgive me if I find your alternative plan for my daughter&apos;s happiness less than compelling." Toad insisted, "I risk everything by coming here tonight. Is that not proof of my intent?" Aunt Cherry arched one brow, a trick she had learned from Uncle Haverford. "Proof you intend to make such a scandal that my daughter will not be able to show her face in Society again. A runaway marriage, Lord Abersham? You would put her through that? She would never be received at Court." Sally stamped her foot. "I don&apos;t care!" His mouth opened and closed. "But... surely if we..." He put as much of his father&apos;s tone into his voice as he could muster. "I will be a duke one day. No one will malign my wife. I&apos;ll not allow it." Aunt Cherry&apos;s voice was deceptively amiable. "I assume you are willing to find work to support a wife and children, Abersham? You could perhaps find a position as a valet." She looked him up and down. "You are fond enough of clothes, and I am unsure of any other marketable skills." "I am willing to dig ditches, if need be." No need to let her know his plans. Their parents would only find a way to foil them. "But..." Sally stood where he had left her, looking more bewildered than angry. "You would cut us off? Without an income?" Aunt Cherry nodded. "As will Wellbridge, unless I am much mistaken. Living on love sounds well and good, children. But think long and hard before you try it." He wished he could explain that he had a plan, a house, and enough money for at least a few years. If only he&apos;d had more time before Aunt Cherry turned up. If only he had dragged Sally out of this house with or without shoes, before anyone was the wiser. "We are not children. And I will take care of you, Beauty. I swear it," Toad said, pleading. The pounding of running feet was the only warning before the door crashed open and Haverford burst into the room, Wellbridge at his shoulder. Aunt Cherry must have sent for them as soon as the maid had informed her. Toad let out a small whimper before he straightened his stance once more, trying to make himself large enough to stand as guardian to his future wife, wishing someone were there to stand as guardian to him. Haverford pulled up short at the sight of Toad, swaying a little, and Wellbridge came to rest leaning against his knees, breathing heavily. "Uncle Haverford. Father." Toad nodded curtly and stayed between Sal and her parents. "Haverford," Aunt Cherry said with a roll of her eyes, "Lord Abersham begs leave to pay his addresses to your daughter." "I beg nothing," Toad snapped, finally fed up with the need to defend himself when he was doing the right and honourable thing, by all the rules his parents and godparents had instilled. "I mean to marry Sal as soon as it can be accomplished, and I do not require any permission but hers." 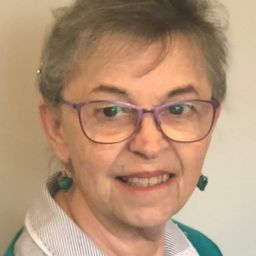 Haverford turned scarlet, and everyone else in the room took one step back, including Sally, who tugged at him so insistently he uncoupled their hands and stepped forward to meet Haverford&apos;s stare. He would be damned if he let his own godfather intimidate him, no matter how powerful the man might be. Before he could make it across the room, Uncle Haverford spat, "Name your second, you cur." Toad stopped in his tracks, his mouth dropped open, and he remained slack-jawed for several long moments. "Second?" "Your second, man!" Aunt Cherry was holding on to Haverford&apos;s arm, whispering urgently into his ear, but he shook her off. "If you are old enough to defile a man&apos;s daughter, you are old enough to answer for it." Toad recovered himself instantly at the insult to Sal. He stepped up to the mark, proving himself at least six inches taller and broader than his godfather, to say nothing of being forty years younger and faster. Snarling at Haverford, he argued, "I never defiled Sal and do not now offer to defame her, and I will meet you for maligning her so." Wellbridge, having regained his breath after seemingly running all the way from White&apos;s to Haverford House, stepped up next to his friend and stared down his son. "You will need to send your second to speak to me." "Father!" Toad yelped at the response. "You would stand with a man who challenges your own son?" "I would stand against any man who threatens my goddaughter&apos;s virtue, as I know Haverford would stand against anyone who so endangered your sister." "Threat... You believe me to be a threat to Sal? Me? You offend me more with every word. But if my own father is against me, so be it. I choose swords over pistols. I&apos;ll send Prince Nikolaus to make arrangements in the morning." Haverford blanched. Niko had been Toad&apos;s best mate at Eton, was currently in London, and would stand with him against anyone, without question. And he was also Haverford&apos;s favourite nephew, a royal prince sent from Erzherzog, where Haverford&apos;s brother, Jonathan, was consort to the Archduchess. 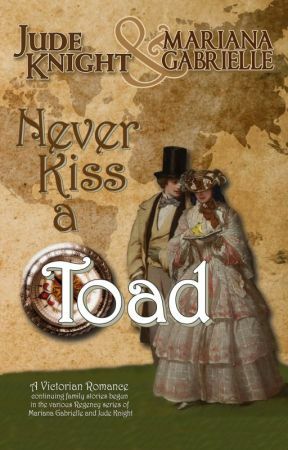 Toad had been the one to give Niko his nickname at Eton—Etcetera—after being introduced to His Serene Highness Prince Johannes Wilhelm Nikolaus Victor von und zu Elchenberg. Toad had shortened it to "Your Serene Etcetera," and they had been fast friends since. "You would set my own blood against me, Abersham?" Haverford asked, and had the decorum to flush when Toad glanced at his father and back again. Toad turned to Wellbridge. "I must be off to locate my second and secure a room for the night. Do give Her Grace my regrets when you explain why I will no longer set foot in your home." "No!" Sally was crying again, forcing herself between Toad and his persecutors. "No. Stop it. You cannot do this." "Gentlemen." Aunt Cherry spoke so sharply all three men started. "I am ashamed of you all. Is your pride so important you would ignore those who love you, the estates that depend on you, the law you are sworn to uphold?" Toad took one step back and folded his arms across his chest. Wellbridge&apos;s stance and defiant look mirrored his son&apos;s.
Haverford would have none of his wife&apos;s interference. He slashed his hand across the cutting words, saying, "I do not care, Cherry. He has wronged me and wronged my daughter, and I will not stand for it!"